As a specialist in injection moulding and thermoforming, the Utz Group (UK in Alfreton, Germany, Poland, France, Switzerland, USA and China) specialises in innovative and customer-specific solutions that go beyond “off-the-shelf”. The Swiss-owned company, which has made a multi-million pound investment in its UK manufacturing facility in the last two years, is a key player in the global intralogistics sector and a leading designer and manufacturer of returnable and reusable plastic containers for storage and transport, pallets and pallet boxes to the automotive, retail and logistics markets. 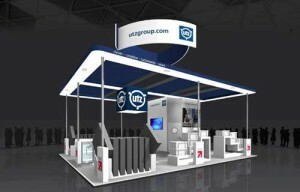 Under the Utz strapline of ‘clever, creative sustainable, smart’ the Group will be displaying a wide range of traditional and new products at IMHX 2016, including the new and versatile UPal industrial plastic pallet plastic pallet which can be bespoke to a wide variety of sizes and industries and, with its steel reinforcement, is ideal for high-bay stacking. Additional cross sector products on display at the NEC, Birmingham include: Utz’s RAKO stackable containers; the company’s unique KLAPA collapsible pallets containers; its vacuum forming trays; automotive KLT containers; its range of hazardous goods containers; its retail range of containers and lids; and dollies with bail arm and stack nest. In the last two years, a multi-million pound investment at George Utz UK has cemented the family business’s capability for rapid re-tooling to meet the exacting demands of the retail and automotive supply chains clients. The investment comes on top of a massive investment in a new manufacturing facility at its Alfreton plant, which more than doubled in size during 2015. In line with Utz’s growth ambitions, the new tool room includes state-of-the-art equipment and the latest CAD software, as well as a CNC (Computer Numerical Control) milling machine. This gives the capability of an even faster and of the latest automated precision engineering. The investment guarantees faster response time to tooling issues during five-day, 24-hour production schedules and can produce Utz’s own vacuum forming tools, as well as alter existing injection moulding tools, all part of the company’s broader manufacturing optimisation strategy. In the last 12 months, Utz has further invested on three high-pressure injection moulding machines and increased its number of plastic raw material storage containers to 16 giant silos towering over the Derbyshire facility to keep pace with national and international growth.